Operating Dates: 1970's - Thanks to Steve for location information. Hi, I was the son of the former owner of imlay city speedway. I was looking for any information. My fathers name was Larry McCloskey. he passed away in 2016. Thank you. Looking for jet car and jet car driver for possible show Americas got talent and Guinness books of records. To show what I do look up super car jump by ken Jordan YouTube. 810-787-1985. The track is visible on historicaerials. com, it does not yet exist in 1959 but is there in 1964. search churchill road @ clear lake road, imlay city. The color one is the corner of County Hwy 44 (Clear Lake Road) & Churchhill Road. That matches my info. 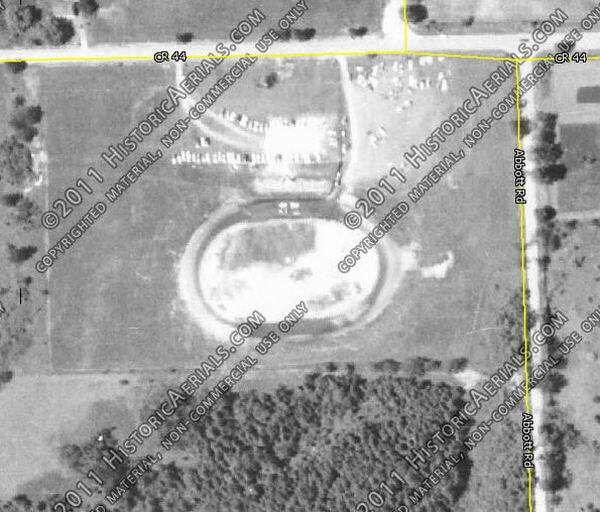 The B/W aerial is 8 miles south with Church Road running East-West between the 3 ovals, horse training tracks?. I think this track was dirt. I went to some races there in 1966,it was a small operation but they did a good busisness. I heard they never had any insurance or paid a big purse. Thats probably why they made money and stayed in busisness as long as they did.